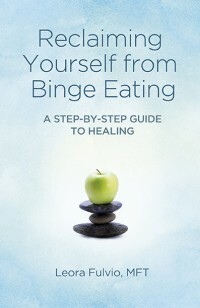 Millions of people suffer with Binge Eating. If you fit into that category, this session can help you to get control over the impulse to binge. It will help you to recognize that you are stronger than the urge to binge. Although that urge can feel overwhelming, you are ultimately in charge and this session will help you remember that. This will help you to be more in control so that you can choose the behavior that you want to have. It will allow you to feel more peaceful around food and your thoughts about food. Bulimia is a very serious condition where a person eats a large amount of food and then gets rid of it through purging by self-induced vomiting. This session will help you to get control of your bulimia. You will know that you are stronger than the urge to binge and purge. You will find calmness and peace through breath and mindfulness when you believe that there is nothing else to do other than purge. Imagine feeling calm around food. Imagine letting go of the shame that you have around your eating disorder. Imagine finding peace from within to help you deal with whatever it is that triggers your symptoms. This session can help you to achieve that. Compulsive eating is eating without restraint or thoughtfulness of what goes into your mouth. Do you know the feeling? It’s when you find yourself just grabbing food because it’s in front of you, not because you’re hungry, not because you’ve thought out what you’re going to eat. This session helps you to bring thought and mindfulness to your eating. It helps you to eat when you are hungry and stop when you are satisfied rather than just eating food because it’s there. Are you someone who turns to food when you are feeling stressed, sad, angry, depressed, anxious or happy? Is food your response to emotions? This session can help you deal with your emotions in a healthier way. Eating in response to emotions is a way to stuff your feelings down without validating them or metabolizing them. This session can help you to respectfully process your feelings without fear or needing to turn to food in response to them. People can also be addicted to dieting. Sometimes they find that they have success with a particular kind of diet plan, but they gain the weight back, and then they try and try and try to replicate that initial success again and again. It becomes exhausting. This session can help you to let go of that diet. Sometimes it’s hard to let go of the diet because you believe that you will lose all self-control. However, the truth is that the obsession with the diet and the weight loss is what has taken over. This session will help you to release the obsession and integrate healthy, intuitive eating. With intuitive eating, your weight will naturally come to the place that your body is meant to be at, and you will begin to feel safer around food. You won’t end up overeating or eating unhealthy foods because you will be giving your body what it needs. Your body doesn’t want to be filled with junk or overstuffed. It wants healthy amounts of nutritious food. This session will help you to achieve that. This session will help you to incorporate mindful eating into your healthy eating regimen. Mindful eating is a way to understand what your body needs, how much it needs and when it needs it. Practicing mindful eating will help you to learn the very simple practice of eating when you are hungry and stopping when you are satisfied. It will also give you the power to be aware of what you’re eating while you’re eating it. You will become more intimate with the tastes, the textures, and the nourishment of your food. You will find a sense of gratitude for what you are eating as well as an appreciation for food and your body. This is also available as a free gift if you sign up for our newsletter. Many people deal with body image issues and feel bad about their size, their shape and what they look like in general. This session can help you to respect your body. When you love and respect your body. You feed it healthy food and appropriate portions. You feel more confident in your skin and generally happier. Your body deserves love and respect, not criticism and punishment, no matter what the size or shape it is. This session can help you to let go of the inner critic that tells you there is something wrong with you and helps you to treat yourself with the loving kindness and respect that you deserve. Imagine what it would feel like to feel peace and calmness in your body. This session will help you to let go of unhealthy eating habits and integrate new healthy eating habits. It’s not about self-control or will-power, it’s about wanting to eat healthy. You will find yourself desiring healthy foods and rejecting junk foods. You will find that you are not tempted by foods that don’t serve you. It’s not that you will be struggling to eat the right foods or make good decisions, it’s that you will find you have the desire to take care of yourself. You will be able to stop and think about what you want and what your body needs rather than compulsively grabbing at something that is not good for you out of habit. Imagine waking up and wanting to go for a walk, or a swim or a yoga class, or even a run– not having to force yourself or beat yourself, imagine yourself really enjoying enjoyable and loving movement. Not everyone is a star athlete. Many people just can’t seem to find the time or the motivation to exercise. This session will help to take the anxiety out of getting started. Often, people find that they don’t exercise because they become very overwhelmed at the prospect of just getting up and getting out. Exercise should be easy and enjoyable, not an overwhelming task. This session will help you to get over the initial hurdle of exercise so that it becomes a habit, rather than something to dread. After a few weeks of developing a new habit, it will become second nature so that the anxiety and stress are no longer there. The motivation to exercise will naturally be there, so that you will look forward to and enjoy exercising. Among the many benefits of exercise are the way it increases your immune system, decreases anxiety and depression, helps with sleep, increases your libido and helps to prevent diabetes. Some people find controlling their sugar intake completely impossible. They find that one bite of something sweet will have them spiraling out of control into a sugar binge that they cannot get out of. This session can help. This will help you to let go of your addiction to sugar. Some people have found that after listening to this session, they are able to completely give up sugar for good. Others find that they are able to set limits around sugar that they could not previously stick to. This session will give you that peace and control around sweets that you need and allow you to feel safe and comfortable. Receive ALL TEN hypnotherapy downloads for $47.00- that is an $83.00 savings. Each session helps you to relax your mind and body- listening to these sessions is like getting a massage for your soul. Your mind and body relax while you receive suggestions to help you see yourself behaving differently around food. When you are able to visualize yourself behaving differently in situations that have been so triggering in the past, you will actually be able to behave the way you want to when you get into these situations. For instance, when you are at a party and you have the urge to eat everything at the snack table, you will relax and remember that it’s just a compulsion, but you don’t have to follow down the path of the behavior it’s leading you to. You will remember that you have a choice, and at that point, you will be able to take a deep breath and walk away and feel calm. Listening to these hypnosis sessions will help you to feel calm around food.